My name is Robert Grant and I began serving my carpenter's apprenticeship shortly after graduating from high school. During my apprenticeship, I worked for two custom home builders, one of whom built million-dollar homes in Beverly Hills and Malibu Beach, California. My background broadened as I also worked for a concrete and masonry contractor as well as a steel erection contractor. Through the years, I have held the positions of labor, foreman, superintendent, project manager, chief estimator, design builder, owner, and developer. 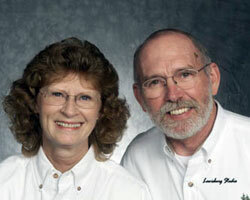 I have been in the general contracting business for over 40 years. I thoroughly enjoy working with customers in designing, building, and remodeling projects. My wife, Christine, worked as my secretary for twenty years as she raised our six children. Several years ago our family had the opportunity to stay in four different log homes in Ely, Minnesota. My wife and I had been planning to build a conventional custom home; but after staying in these log homes, our thoughts changed. When we came back to our home and began to look around at our furnishings, we realized that nearly everything we had would fit perfectly in a log home. Soon thereafter we began to investigate what the log home industry had to offer. 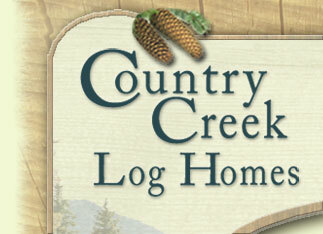 We acquired magazines and books about log homes and attended log home shows and seminars. We talked to various log home manufacturers and asked a lot of questions. We decided to visit the plant in Lewisburg, Pennsylvania. We had a tour, attended the seminar/work shop and again asked a lot of questions. We realized that everyone at Timberhaven was very interested in wanting to help us, or anyone, however they could. I also had the privilege to sit down with Leonard Kuhns and learned some of his philosophy of life and business. This and the way everyone was treated personally really drew us to the company. We were very impressed with the quality of the entire operation, especially the kiln drying system. I still wasn't completely settled because I wanted to compare cost with the other manufacturers. I contacted nearly all of the major log home companies and asked them to cost out our log home. The results were very revealing. Some manufactures never bothered to get back to us; some said they didn't offer a kiln dried product; and others said they could not compete either in price or quality. However, the ones that did give us their cost estimates were basically the same or more expensive than Timberhaven. We became so convinced about the quality of Timberhaven that we became the Timberhaven Log and Timber Home Representative in our area, and we have not been disappointed.